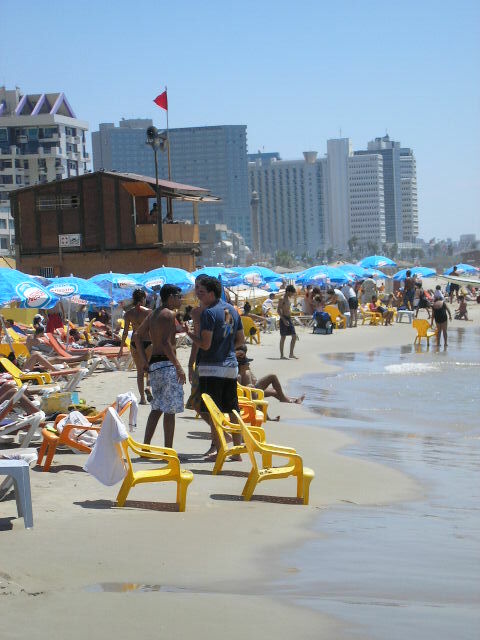 The normal Tel Aviv Beach with a lifeguard that talks too much. Ok, these girls were talking my ear off and very nice, however not quite the age I am searching for, I am dieting and having a good time on the beach losing some weight, hopefully I will be size 32 in both waist and age when I get down to fighting weight. No spell checker the blocker stopped it and the language is not English.